I’m using the latest version of Windows 10 Version 1809 on my laptop. Recently I have been having an issue with the laptop battery timing. The laptop battery drains fast when the lid is closed. So I have to shut down the laptop every time instead of closing my lid to automatically go on sleep mode or hibernate mode. I have done some research on this battery drainage issue and came up with some good solutions. Let’s discuss the exact problem first and then we’ll head towards the possible solutions. Hibernate is another state which uses more battery but is also very minimal. The sleep mode state keeps the laptop running but the LCD lid is turned off. Most software will also not be able to run in sleep mode, thus preserving a lot of energy. So if you are worried about minimal charge loss when your computer is in shut down, hibernate or sleep mode, this is perfectly normal. You can’t stop this loss of charge. If you think that your laptop is draining the battery faster than normal, then you should check out the solutions below. 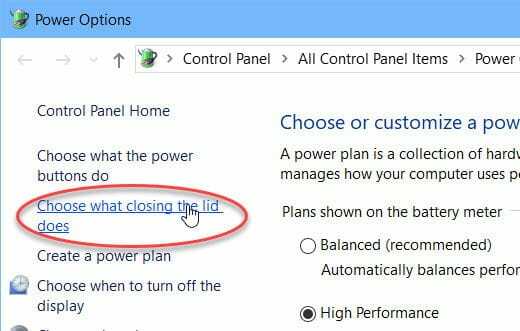 First of all, we should make sure that the lid closing action is defined in power options. If the option is selected as “Do nothing”, then the laptop will not go to sleep or hibernate when the lid is closed. From the left-hand menu, click on “Choose what closing the lid does“. 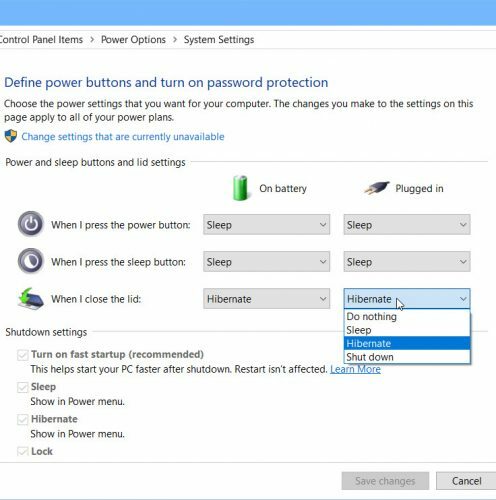 Make sure you have selected Sleep or Hibernate under “When I close lid” option for both On battery and Plugged in. If this does not fix your issue, move to the next solution. Fast Startup is a feature of Windows 10 which controls the behavior of Windows 10 shut down and startup processes. Fast Startup enables Windows 10 to reload necessary components of the Operating System while keeping others in the memory resulting in faster boot times. One caveat of Fast Startup feature is that its functionality can, sometimes, go weirdly wrong. For example, the user may want to shut down the system but the Fast Startup feature may restart the system instead. So the user may close the laptop lid thinking that the laptop has been shut down. The laptop, instead, would restart and keep on running with lid closed and would turn off when the battery dies completely. From the left-hand menu, choose “Choose what the power buttons do”. 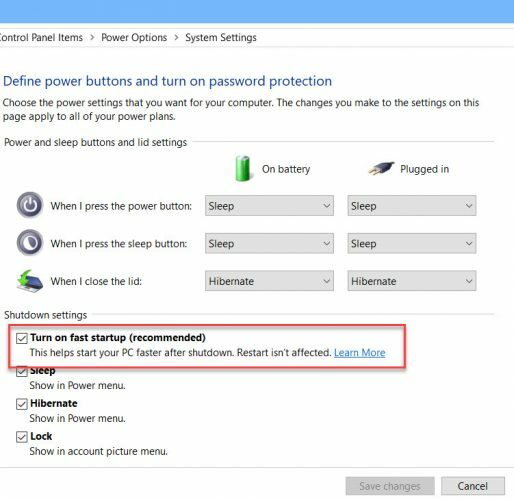 Uncheck “Turn on fast startup (recommended)” under Shutdown settings. This will generate your laptop battery health report. The default location of the generated report is C:\Windows\System32\battery-report.html. You can open this report in a browser. This report will tell you the designed capacity of your battery and the full charge capacity as well. If there is a lot of difference between the two, it is time to replace your battery. 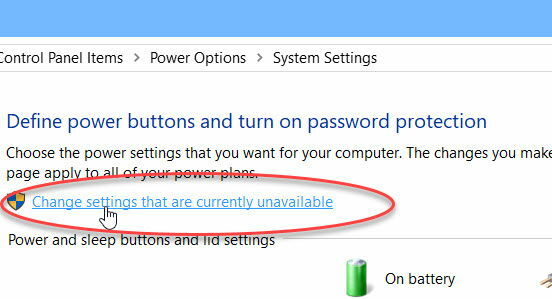 There may be other solutions to this laptop battery draining fast issue but I have listed down the most common solutions which, hopefully, will be beneficial for your case. In case, you are not able to fix your issue, please let us know in the comments below and we’ll investigate the issue further.